Arima Cyprus Oaks is the brand new, ambitious offering from the renowned Arima Constructions. 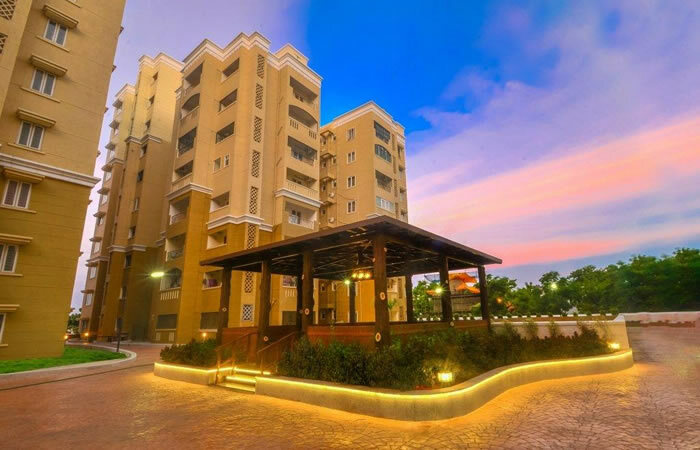 With only 23% build up area and 77% of beautifully landscaped open area, this magnificent contemporary styled exclusive development offers a total of 264, two and three bedroom luxury apartments in 6Blocks with 10 floors each. Constructed to highest quality standards, Arima Cyprus Oaks promises state of the art amenities and enviable lifestyle features in an unmatched living environment. The project brings together apartments with many different sizes and floor plans that give you the flexibility to meet all your specific needs and discriminating tastes. All apartments are spacious and luxurious, offering comfort and convenience, security and safety. Strategically and conveniently locates in prestigious Puliyakulam Road, which is just off Avinashi Road and adjacent to Race course. Arima Cyprus Oaks is within reach of employment hubs, educational centers, public transportations, shopping, entertainment and more. So residents can spend less time commuting. From spectacular architecture to the finest collection of features and amenities, everything was designed with you and your comfort in mind. An atmosphere of beauty and serenity envelops you. Thoughtfully designed floor plans provide you with maximum ventilation, privacy and pleasing views. A prized jewel of luxurious living, Arima Cyprus Oaks offers a rewarding investment opportunity due to its exceptional location, superior quality and unrivalled array of amenities that promise you the best value for money.